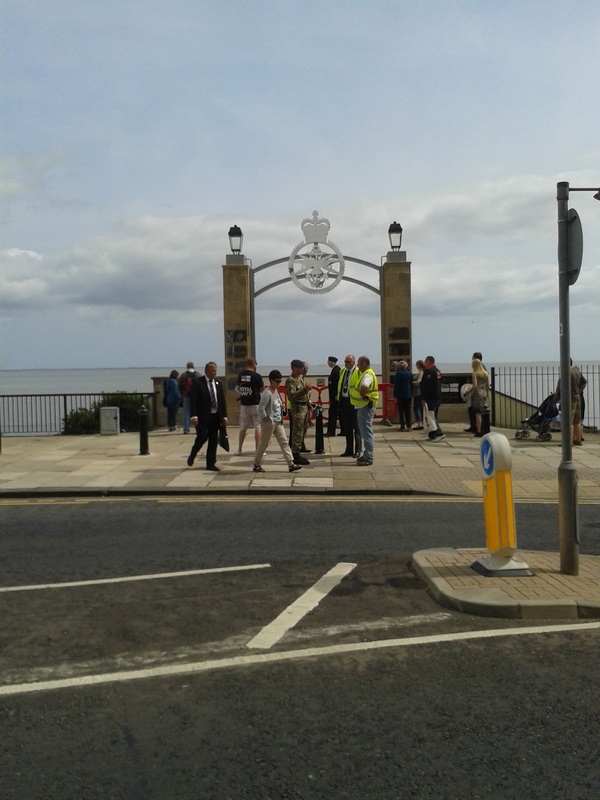 A lovely day spent in Cleethorpes for Armed Forces Day and we had great weather as well. Both Mrs C and I caught the sun, enjoyed a leisurely walk and then watched the parade. The above video shows the start of it with the Royal Marines Band leading the way. Lots of old and not so old veterans from WW2 up to the present Afghan war. We also saw a fly past by the Battle of Britain flight: a Spitfire, Hurricane and a Lancaster. The later display by the P51 Mustang was fantastic. We'd boarded the train to return home and watched it from there. 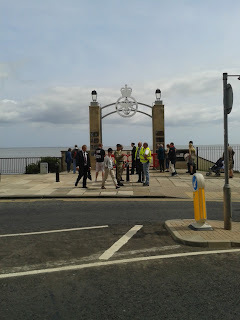 All in all a great day out and we saw the new memorial on the seafront. We are now suitably tired and time for a cuppa and feet up. My thanks are due to the lovely Yorkshire lady who joined us for a chat and gave me some advice for next weeks Waddington airshow and where to get the best photos.